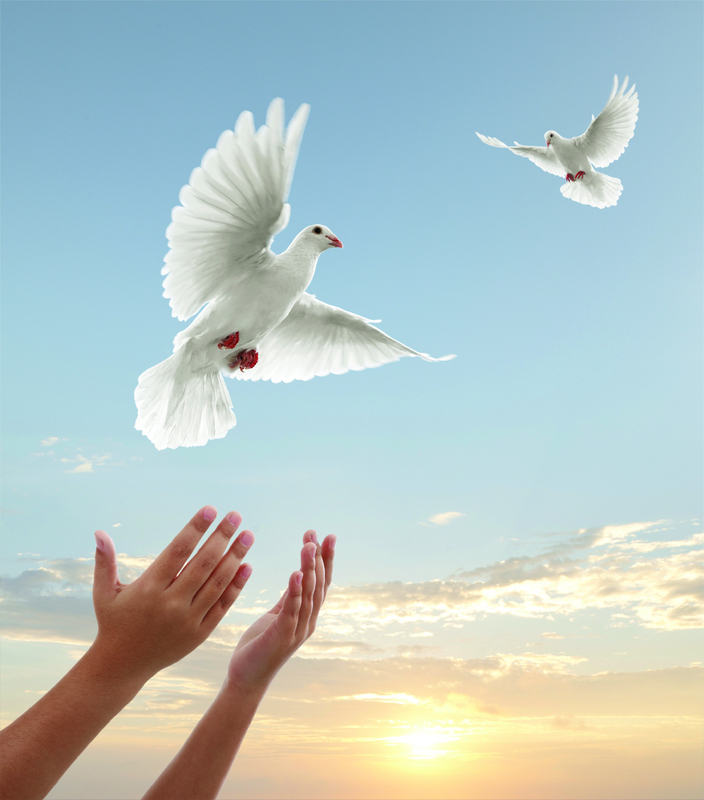 Up to four doves are released as part of a Ceremony or at the conclusion of an outside gathering or Graveside Service, weather permitting. 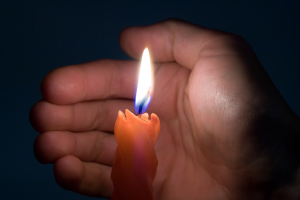 Your large personalized candle signifying your loved one’s life is a special way to start the lighting of fifty hand-held candles for the Tribute Service. The Baue Motorcycle Hearse commemorates the spirit of life by creating a timeless memory for a loved one’s journey. Our beautifully detailed 19th century-style hearse is drawn by a classic 105th Anniversary Edition Harley-Davidson Road King. To further personalize your loved one’s funeral, we can arrange to lead the procession on a favorite road or past a sentimental place. 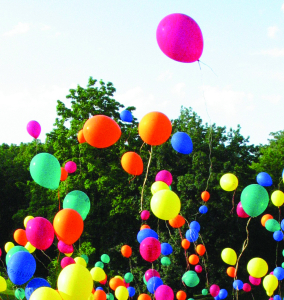 Twenty-five biodegradable balloons in a variety of colors are provided for release, weather permitting. 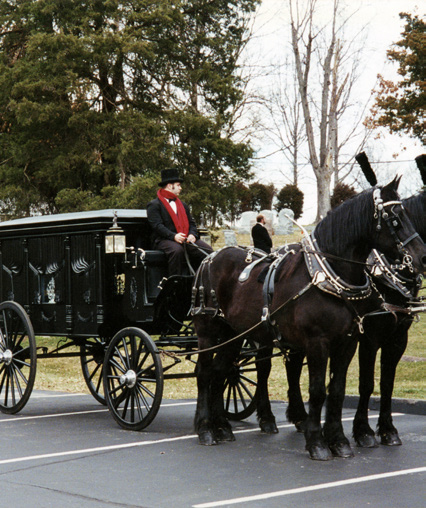 A beautiful horse-drawn carriage provides a regal procession from our Funeral and Memorial Center to the gravesite at St. Charles Memorial Gardens. The family may choose to walk or drive behind, weather permitting (48-hour notice is required). Two dozen monarch butterflies are released at once or individually, weather permitting. 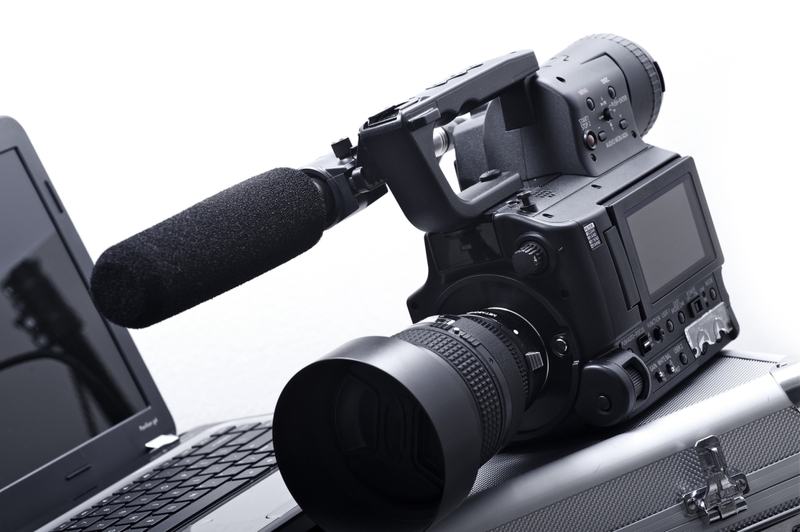 Professional video taping with live web broadcasting is available for the Funeral Ceremony, Memorial Service, Celebration of Life or Cemetery Service. This unique live tribute allows family & friends from both near and far to witness a loved one’s service through a password-protected website. 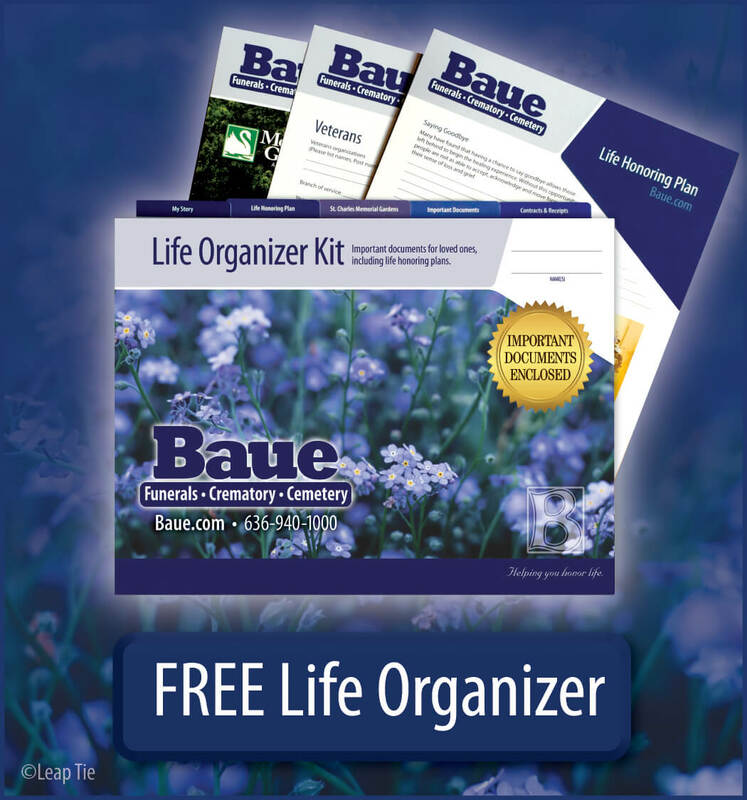 Both the Funeral Ceremony and Cemetery Service can be included in the package. 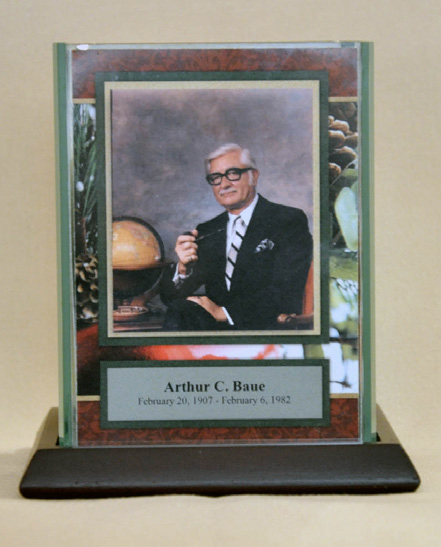 Your Loved One’s photograph is printed on this beautiful candle for display at the visitation, Funeral Ceremony or Memorial Gathering. Over 200 themes to choose from. 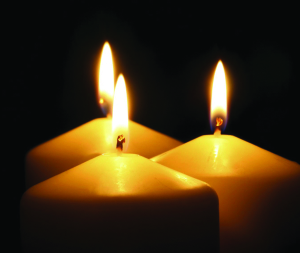 Up to 25 white votive candles are displayed throughout the room for use during the Visitation, Ceremony, or Gathering. Additional candles are available. 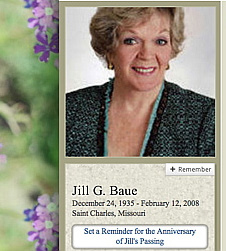 Your Website Obituary is written and placed online, where Family and Friends may leave memories and condolences. 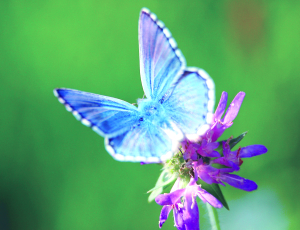 An Eternal Tribute offers the ability to include music, video, unlimited photos, links to other websites, and other enhanced options to connect with family and friends. 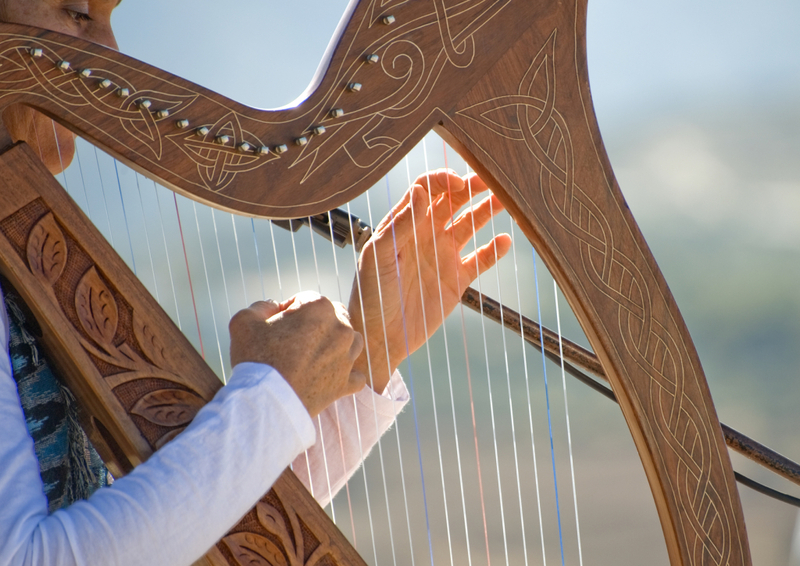 We believe that music is a very important part of honoring your loved one’s life. We have assembled a wide variety of musical groups and musicians. We are able to arrange for any request for your own Musical Tribute during Visitation, Gathering, Ceremony and Graveside services. Every veteran deserves to be honored and recognized for their sacrifice to protect our freedom. 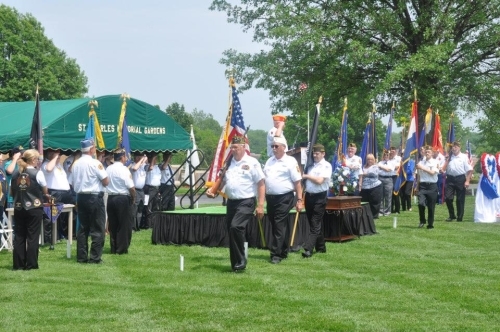 We offer a free burial space for veterans and will coordinate all aspects of the service with your loved ones branch of service. Ready to learn more? Call to talk with one of our caring staff members 636-940-1000.